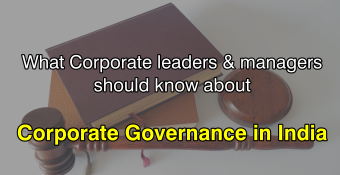 This Online Course covers the concepts of Corporate Governance in India, delivered by a Human Resource Generalist Expert with more than 25 years of experience in start-ups and a range of Indian and foreign MNCs. The course discusses the current framework of Corporate Governance in India and throws light on its benefits and future potential. This course is ideal for managers, senior managers, HR professionals and CXO's of organizations. The course is also suitable to post graduate students undergoing their MBA. Well prepared with content in short time to cover and done justification to the topic. Since this topic is for management professional, expected speaker to present freely instead of feeling like reading from slide. 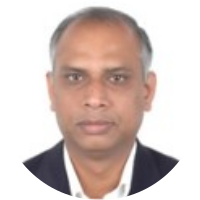 Sathiyaseelan (Seelan) is a Human Resource Generalist Expert with more than 25 years of experience in start-ups and a range of Indian and foreign MNCs, including Nokia, Broadcom, Renesas Mobile Corporation, Royal Sundaram Alliance Insurance, Allsec Technologies, Rane Group and Balmer Lawrie. He has a full time PGDM from IIM Calcutta and is currently pursuing PhD (Doctoral Program) in the area of Leadership & Organizational Behaviour. He has founded Bon Espirit Consultants, an HR Advisory & Consulting services firm, based out of Bangalore. Seelan is very excited about the opportunities that MOOC platforms offer for teachers and learners alike and is among the first in the country to have launched a mooc course on an international platform. 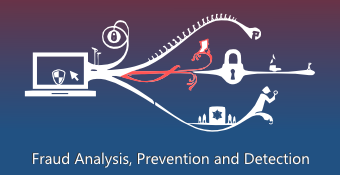 One of the areas that Seelan is passionate about is - governance and ethics. And hence his delight in being able to offer such courses, which is among the first of its kind across India to be offered on an e-learning platform.